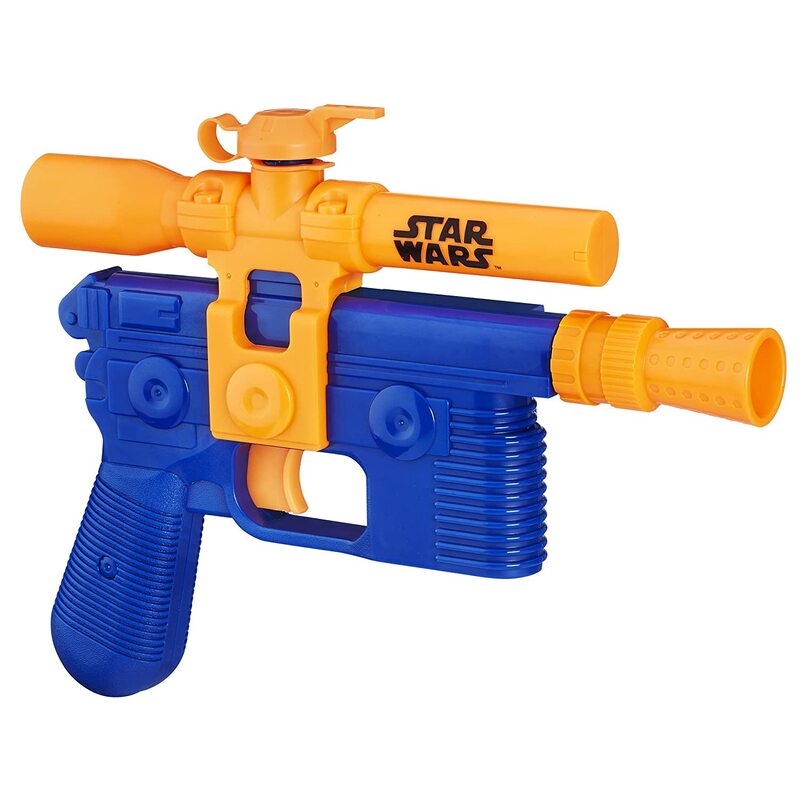 Forget about the rubber ducks, girls and boys as the young fans of the Galactic Empire can now enjoy playing with their Star Wars bath toy selection in the bath tub, their water table or even their paddling pool for lots of splashy and squirting fun. Vinyl and plastic toys that are suitable to use in water will sometimes float on the surface, sometimes squeak or squirt streams of water out. Kids can have great fun making up their own games and stories too with all their favorite science fiction characters. Children can make up their own battles between the forces of good and evil while they get clean in the bath. 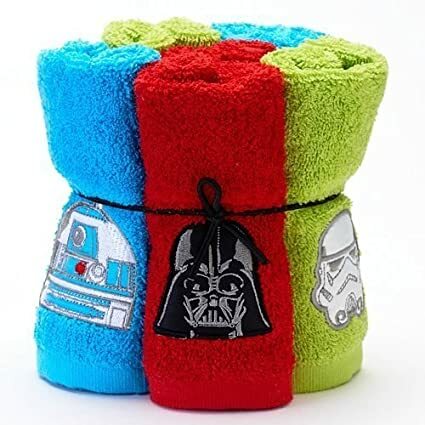 Kids can employ their favorite characters such as Luke Skywalker, Han Solo, Leia Organa, Kylo Ren, Poe, BB-8, Rey and Finn with some bath toys. Many of these play sets and toys made for water are ideal in developing and encouraging a child’s imaginary play, and they can also be played with out of the tub too. Here are a set of 7 Star Wars bath toys by Disney Parks. They come presented in a clear, zippered case for when they are not in use. You can see all the figures in this set in the image here and also over on the product page. 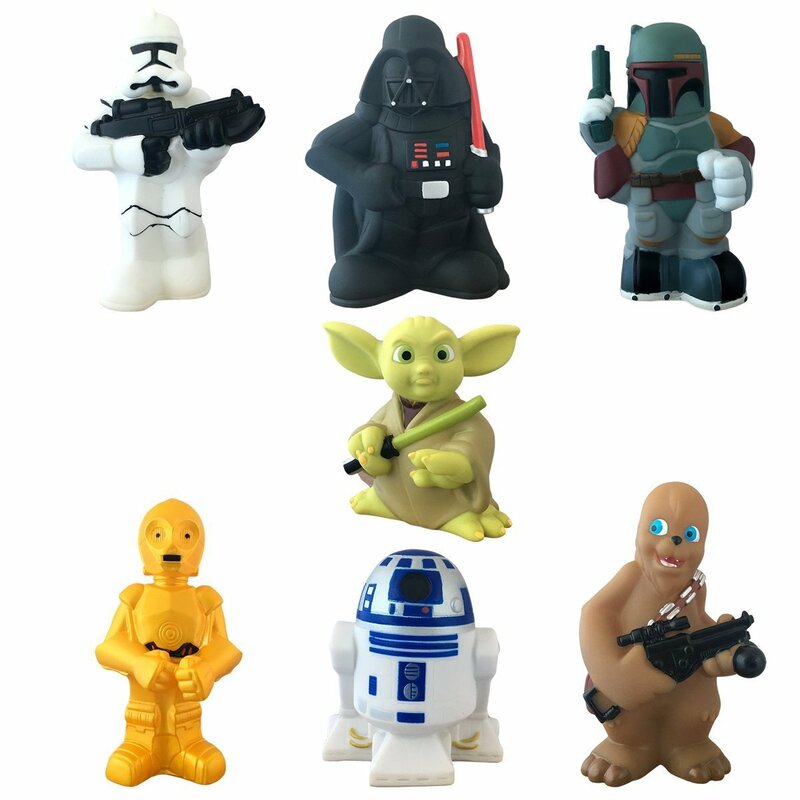 The bath figures are all approximately between 3-5 inches high and include many original and favorite Star Wars characters including: R2-D2, C3PO, Yoda, Darth Vader, Boba Fett, Stormtrooper, and Chewbacca. 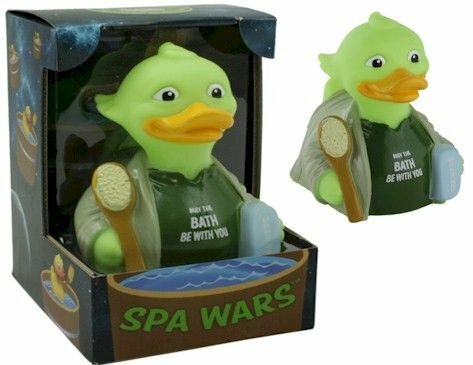 These Disney Star Wars bath toys look quite true to the characters from this theme. I can just imagine all the fun that kids can have battling in the bath between Darth Vader and Yoda or having the droids R2-D2 and C3PO go off on a journey together to save their furry friend Chewie. Also look out for a set of 10 small Star Wars water toys. There is also a small 10 piece set of Star Wars bath and water figures featuring popular characters such as Darth Vader, Darth Maul, Anakin Skywalker, Yoda, Emperor Palpatine, Obi-Wan Kenobi, Jar Jar Binks and more. This is a cute and colorful looking playset packed with a great variety of characters mainly taken from The Phantom Menace and the rest of the 3 part prequel to the original movies. Note they are not squirting toys. This set is comes in and out of availability in online stores but you can also often find it to buy at your local eBay too. Other options on this theme include some fun looking Star Wars play shave sets. There are a number of bathtime play shaving sets on this theme that boys, and girls, can have fun with and pretend to be just like their dad. 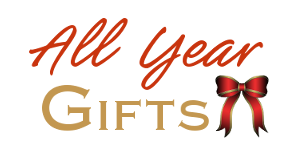 They often contain items such as pretend shave cup, brush, mirror, razor and bath foam. Help to make wash and shower time much more fun. Get warm and dry after all that fun with a really cool Jedi bathrobe. 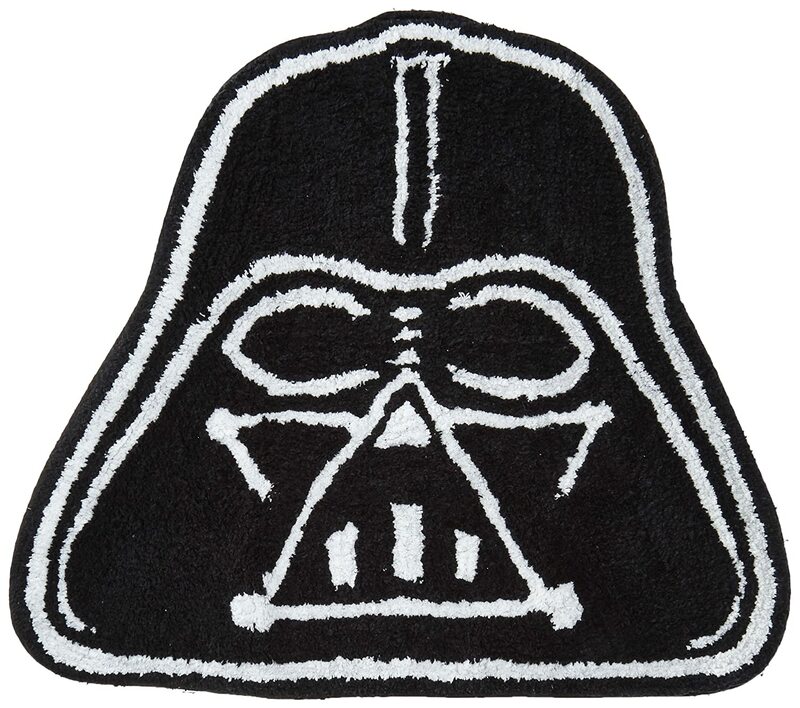 Or how about some Star Wars wash cloths which could encourage children to have a good scrub in the tub. There are plenty of themed bathroom accessories for kids that will fuel their imaginations for role play and making up their own Galactic stories whilst getting clean. Lots of these items can also be used for the beach or family fun in your own outdoor pool too. Look out for some fun foaming hand and body wash dispensers. These are pretty functional items that can double up as bath toys. I like the fun looking stormtrooper design, not shown, and it is refillable once the hand and body lotion wash has been used up too. There is also a pump action bottle based on the droid or robot character, R2-D2. It can be used as a soap or shampoo dispenser or as a water toy if you let kids fill it with water to pump out. This detailed dispenser bottle is a great way to encourage children to wash their hands or shampoo their hair too. It’s getting harder to get hold of, so maybe check out eBay for it. 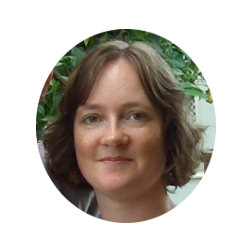 My daughter also enjoys using her own bath items in her sand pit and with her water table, so they can also make very good and robust outdoor items to buy. Why not get some matching accessories in this theme for a kid’s bathroom too. Have lots of splish splashing fun.